Vaughn saves Ryujin from a potential match-ending double-team from the Wolves, allowing him to nail a soaring Asai DDT for the upset win. Both proteges of Mr. Lucha went to war in a match with unique stipulations. MWF's resident hypebeast stole the win after leveling the enigmatic Ashura with a loaded pillow. After the match, Lucha chastised Sison for his underhanded means to victory. Former PWR General Manager and UP alumnus Mr. Sy came out in a major surprise for the crowd, bringing along his trusted buddy and fellow UP grad SANDATA to take down the fearsome King of Filipino Strong Style, Rex Lawin. Both men gave everything they have, but Lawin would take home the TKO win after SANDATA was unable to further defend himself from an onslaught of superkicks, leading to Mr. Sy throwing in the towel for his ward. Sy and SANDATA would get their revenge later on, aiding RG in his win against Lawin's manager, Gus Queens. The mysterious white lady from Kasaysayan made her in-ring debut as a member of the Liwanag family to help Brother Jomar get a revenge win against Makisig and his late-breaking partner Stryker. Mr. Lucha tried to repeat his MWF Live win against Robin Sane to advance in this year-long tournament, wearing him down with his usual awesome arsenal of slams and suplexes. But MWF's Daredevil wouldn't be denied. A gorgeous reversal of Lucha's trademark DVD-X into a small package was enough for the raucous win. HKWF's Ho Ho Lun appeared on the Manila Tron after the match to challenge Sane to a future rematch. What did you think of the show, mga KapaFED? 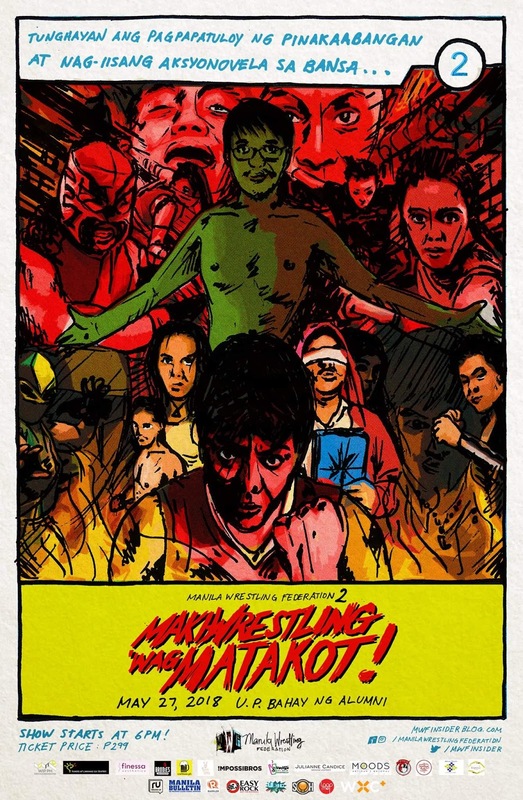 Do you think MWF hit the mark they set for themselves at Kasaysayan? And what do you think of PWR's Mr. Sy and SANDATA making a surprise guesting? Let us know your thoughts, and we'll see you at the next show!